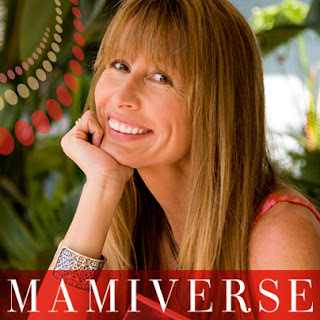 As the Editor in Chief of Mamiverse, the online hub for Latina moms, I do a lot of different things, from planning the editorial calendar, assigning articles, taking pitches, managing a pool of 90+ freelance writers, budgeting, editing, writing articles and posts (I just can't live without writing), designing the scripts for and hosting Twitter parties with the likes of Emmy winning journalist Jorge Ramos or more recently Hollywood Legend Rita Moreno, to overseeing our social media team (although I can't help from being heavily involved in social media myself! ), production team, and being involved in the outreach to the online community. I also attend conferences and have a blast meeting so many like-minded professionals. So, how do I manage it all, being the mom of two, de facto step mom to one, with a significant other who is also an artist, a dog and an ex spouse I co-parent my kids with? Because I'm fueled by passion. The passion to make a difference. The passion that arises from having been in the toughest of situations and knowing I was able to overcome it. I was reminded of this when the production company of the documentary A Place at the Table: One Nation Underfed asked me whether I'd be ok being featured as a SNAP Alumni (someone who has been on food stamps and was able to get back on their feet thanks to them!). I want others to know that America is still the land of opportunity. I am a believer that if you set your mind and soul to it, if you work hard and well, it will be recognized. No matter where you are now in your life, if you give it all you've got, there is no other option but to come out on top. The question is, what will you do when you get there? In my case, I don't forget what I've been through, I'm not ashamed of it, I own it. And, I keep on moving forward. Because not to do so would be against my nature. Thank you to everyone who used to follow this blog. Look out for more updates, as I've decided to go back to what brought me real success. Taking success as making a living doing what I love ... being a communicator, loving my family, my friends, and ... myself. Yes! Spread your wealth of knowledge and experience!